Yesterday, DH and I went to Smith Mountain Lake to spend time with another couple who live on the lake. They were gracious host for the day. We had not seen their new home and it is gorgeous with a great view of one of the lake coves. We went out on their boat and I discovered that the lake is huge. There is no way one could see all of it in a day trip. Weather was fantastic. We docked the boat at the "Boat Landing" and had a choice of laid back restaurants to have dinner. After dinner we ventured back to their home with the setting of the sun and the cool evening temperatures. Truly relaxing day with sun, water, good food and good friends. I think the title above is from a Van Morrison song. Yet it was how I was feeling after getting home from CURVES last night. I wore the dress pictured above to work yesterday. I always receive compliments when I wear it. We had some visitors at our facility yesterday who had not seen this dress. Again more compliments. I am currently working on this dress pattern. So before going to CURVES I tried on the dress in progress and was truly pleased that the second dress is fitting a little better. The first one had too much width in the shoulder and upper chest area, thus neckline stands away from my body some. No one seems to notice but me. I took deeper back seam with the first dress to pull in some of the fullness. Saturday we visited my MIL and found an old acquaintance, who unfortunately is living in an assisted living environment due to health issues. We did not get home until late evening on Saturday and I visited my sewing room for all of 20 minutes and decided I just was not in the right frame of mind to sew. Sunday, I did sew the back and side seams of the Vogue dress. I also stitched the two sash ends to the center piece. My sewing mojo left me and did not sew anymore yesterday. I had an annoying headache all day, either a tension or sinus headache. I did spend sometime reading other sewing related blogs and I am sure that I will back in sewing mode before too long. 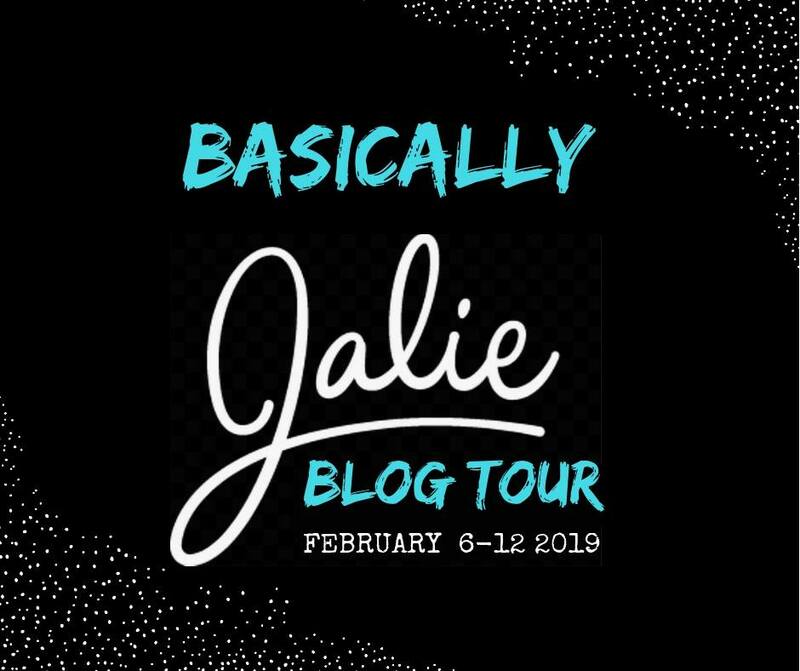 This is a great giveaway and great blog tour. Check it out! This AM before work, I was reading a few pattern reviews and a few blogs. 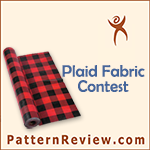 I noticed Carolyn of Diary of Sewing Fanatic's blog heading-It's Here. I immediately knew she was referencing the September Vogue, having been an avid follower of her blog for quite some time now. I was right, it was to let us all know that the magazine had hit the stands and she had a copy. So at lunch, I headed to B&N and got a copy. I decided to get Harper's Bazaar as well. I will start my review this evening. I took advantage of a recent Club BMV sale and purchased a couple of patterns, like I don't have a million already. I purchased two Butterick dresspatterns. Also I purchased a Vogue Sandra Betzina pattern. At a local retail store I saw similar tops to the SB pattern. 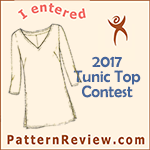 There seems to be a trend toward tops with sleeve shirring and pleating. I have lost my sewing mojo for some reason. This work week has been trying to say the least. Plus I have had car issues making my after work life a challenge so when I get home I am not motivated to do much in the way of sewing. Originally uploaded by Danvillegirl A view of the side. Originally uploaded by Danvillegirl Here is the back view. The center back and side seams have not been sewn yet. Originally uploaded by Danvillegirl My Vogue dress in progress. This will be my end of summer sewing with this dress. I reversed the border print of this fabric. I like the flowers cascading down toward the hem. Thanks everyone for your feedback. Originally I had planned to make it a sleeveless dress. When I made the bust adjustment, I realized I had used the side front pieces for the drop shoulders and not the sleeveless side front. I decided to go ahead with the adjustments made on the drop shoulder. I think, like many of you suggested, the sleeveless version is better. Blogging is such a good way to get feedback from your sewing buddies, especially when in my case, I don't have many close by to bounce things off of. For now, I am going to let this dress stay as is because I want to move forward with the current dress and then onto fall sewing. I know many of you have kept up with my posts about the Simplicity dress. I am pleased with how I underlined the dress bodice. I like that I lined the flounces with self fabric. I even like my elastic covered belt with silver buckle. I have to say that the dress feels heavy, probably due to the weight of the bodice flounces as they were designed to be one layer. 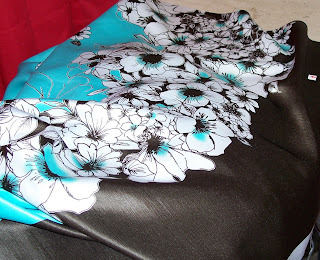 I love the color and the fabric I used was nice to sew. However I am just not overjoyed about the dress as I thought I would be. I don't wear flounces in the bodice much so that feels unusual to me. The neckline stands away from neck and shoulders. I knew that it was going to do that as it did from the start and a couple of things I did to try to fix it just didn't eliminate that. I even thought I should take a deeper seam in the upper chest area, as I think the dress feels too wide. But if I do that I don't think I could get it on, as it is a pull on dress. I completed the Simplicity dress last night; I only needed to hem it. It now needs pressing-a lot! Linen and wrinkles go together hand in hand. I did not feel like pressing it today; I plan to wear it later this week and will press and take some photos of it then. I said earlier that the yellow dress was going to be my last summer sewing project. Well-I am making one more dress and cut out the fabric this AM. It is a border print that I acquired from Fabric.com months ago. It was labeled as silk dupionette. As you can see from the picture there is a floral border. I decided to reverse this and use the border at the neck-shoulder-upper body and have the flowers cascade down the dress. Almost complete. I inserted the elastic into the casing made by stitching the bodice to skirt and then stitching the upper edge of the seam. Pattern calls for 1/4 inch elastic but I used 3/8 for a better fit and feel. I then covered the belt elastic. I was able to find a silver buckle at JoAnn's on Thursday to use. After elastic was covered and folded over edges were sewn down, I tried on the dress and decided I did not like the A-line look of the skirt portion. My inspiration dress is more straight or tapered. I then look in the side seams from just below the side seam pocket to hem edge. I did this for lining fabric as well, of course. All I need to do now is hem the dress and lining!!! Yea!! This project was beginning to make me feel bogged down. I have more projects floating in my head and want to get started on them before my vacation is over and back to work!! Had a great time at the beach! I would loved to have stayed longer. Maybe next year! I am still on vacation, DH went back to work today. Me-I sewed all day long (well almost!) I did stop to go to CURVES, then lunch, watched a sewing DVD and then showered. Then back to sewing. My back is feeling tired so decided I had to stop for awhile. I made a lot of progress on the Yellow Dress! Not much left to do. Bodice and skirt are now attached. I need to insert elastic. I then have an elastic belt that needs to be covered with fabric. I think I may have an issue with finding a buckle to use with the elastic belt. I also have enough fabric to attempt to use belt backing and the like; I am just not real sure I want to expend that much energy. 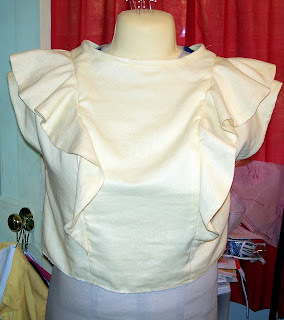 Here is the bodice and skirt attached at waistline. I still need to stitch the upper edge of the waistline to allow for the insertion of the elastic.